HUGE SALE! 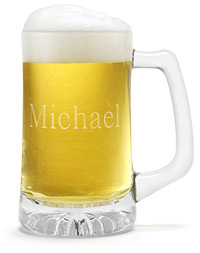 Get Up to 75% Off Wedding Favors and Bridesmaid and Groomsmen Gifts! 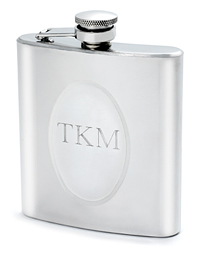 After seeing our post on 5 Great Gifts for Groomsmen, The Knot Wedding Shop e-mailed us with a special link to their limited sale running from December 3rd-10th! 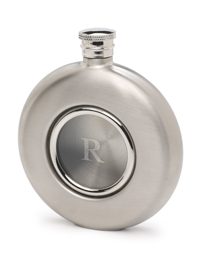 Personalized flasks as low as $6.99! Monogrammed lighters as low as $3.99! 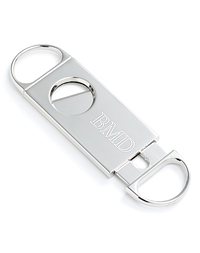 Cigar cutters, money clips and beer glasses starting at $4.99! 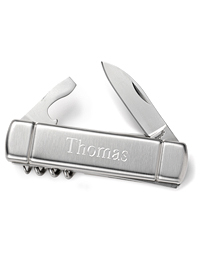 Clicking through a couple of the pages, I even found personalized totes, bracelets, cuff links, cameras and wedding favors on clearance. This really is the perfect time to stock up!!! Click on the box to be taken directly to the special sale section - and check back soon for the unveiling of their "3 Day Sale" items next week! 3 Hot Deals for Honeymooners or Holiday Travelers! I hope you all had a fantastic Thanksgiving and survived Black Friday. The only shopping we did yesterday was online - and at Red Robin for dinner! Well, in honor of one of the biggest retail weekends of the year, we're going to touch on the subject of gift buying...for the boys, that is. 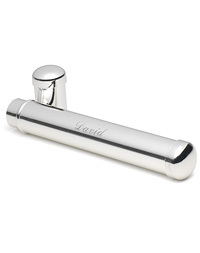 If your groom is like mine, purchasing thoughtful gifts is as confusing as it is painful. How does he thank his friends for giving up a Saturday to dress like a Maitre D' and make small talk with his extended family? Check out these 5 ideas from The Knot and run them past your hubby-to-be. You'll score points by taking the guesswork out of it and making it look like he put a TON of effort into his purchases ;-)Just click on the image of the gifts that catch your eye to be linked to their page with more info. Each of these gifts range from $7.50-$24.95 and can be combined for a really great "Thank You" package! 1. 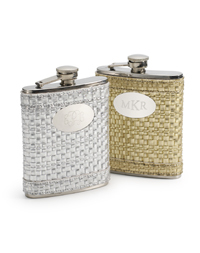 Flasks. OK, I'll be honest. 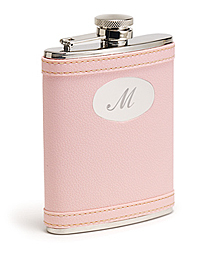 I only know one person who carries around a flask - but the idea is so cool...especially if your ceremony drags on and gets really boring - just kidding! 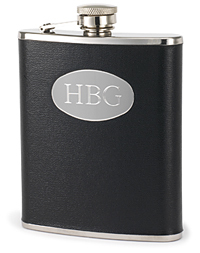 These flasks can be personalized with his buddies' monograms and are all under $25! They've even got a few for the girls, as well! 2. Cigar Paraphernalia - Pair a couple of high quality cigars from Old Town Cigar or Cigar Chateau with a personalized cigar cutter, single holder, or humidor! 3. 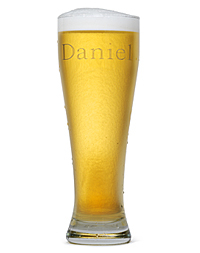 Personalized Beer Mugs or Glasses - Attach a 6-pack of each groomsman's favorite microbrew! 4. 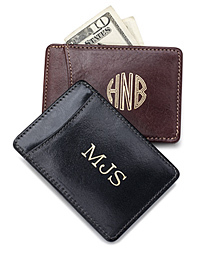 Personalized Money Clips - Since girls carry purses filled to the brim with our wallet, make-up, datebook, gum, etc. 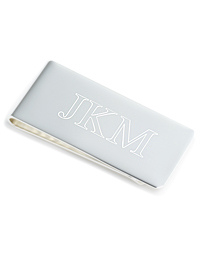 we don't ever really "get" the idea of a money clip. But guys don't carry a purse and sometimes a wallet is just too bulky or heavy for dress pants. They can stick a few bills and a credit card in their clip and be good to go for the night. 5. 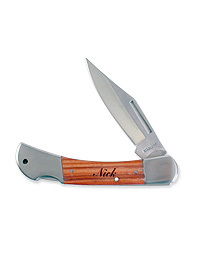 Pocketknives - Boys love guns and knives. That's all that needs to be said.